Our campus offers local job placement assistance to all of our graduates. Upon graduation, the graduate may report to the job placement office for one-on-one job placement assistance. 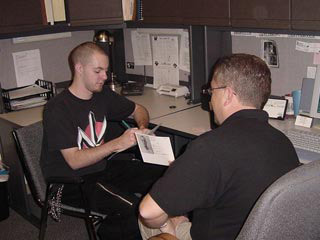 Our Job Placement Director works very hard to help each student find the job that they are looking for. Our schools have achieved a job placement rate of over 90% over the last five years. PBSA has placed its graduates at some of the area’s best bars and clubs. Feel free to view pictures of our working graduates at our training facility or review our job board to what jobs are presently available to our grads. Our campus offers online job placement assistance to all of its graduates. Each graduate is given a username and password to our online job database. This password protected site may be checked at any time of the day from any computer, at the student's convenience. Our Job Placement Director is responsible for entering the current list of job openings into our database system. The database is updated each day as more jobs are added and existing ones are filled. This new program is one of our most popular additions. Students rave about the convenience and time savings of this program.